To choose a home security system can be like running the gauntlet. Nearly every home security website is offering the moon to you with discounts, free equipment, and gift cards. The challenge to you, the buyer, is how to sort through the information provided and get the best value for your investment. Our buyers guide has been created to help you drill down to the essentials in choosing a home security system that meets your needs and is kind to your pocketbook. We have chosen the top four home security websites, some new-school, some old-school to compare their features according to a metric weighted in seven categories in order of importance. Not all websites contain information in every category, so a call to a company representative is in order. ADT shines when it comes to value, with their discounted equipment installation packages and free activation for their proprietary medical alert system. But don’t forget to read the fine print that accompanies these deals, offering a standard three year contract and cancellation policies. Here is where you need to exercise caution because you could end up paying 90% in cancellation fees if you cancel before the contract termination date. Payment terms are Byzantine and this link will help you sort it out http://www.adt.com/about-adt/legal/adt-pulse-terms-and-conditions. Frontpoint claims it is the “#1 Rated Home Security System” and with some justification. On its website it includes customer testimonials, a cited new customer survey, and endorsements by review sites Angie’s list, Alarm.com, and the New York Times. The website does not offer any information on its equipment and monitoring costs. You must call them, but they offer the inducement of a free quote as well as a 100% Risk-Free trial, refundable returns with free shipping (they also ship free). Frontpoint’s product line includes a touch-screen control panel, mobile app, intrusion sensors, and security cameras. With Frontpoint’s automated technology, security vulnerabilities can be targeted to prevent home invaders from thinking they can gain access to your home without discovery. Your locks, lights, and thermostat can be remotely controlled to welcome you home as if you’ve never left. All security features Frontpoint offers are divided into three protection categories: the basic plan, a remote-controlled interactive plan, and the most technological advanced plan in which real-time events are monitored through video streaming, sensor alerts, and infrared cameras. How Frontpoint stacks up to friendly competitor ADT is pretty impressive. Both companies offer wireless and cellular capabilities, remote access, and control and timely security alerts. 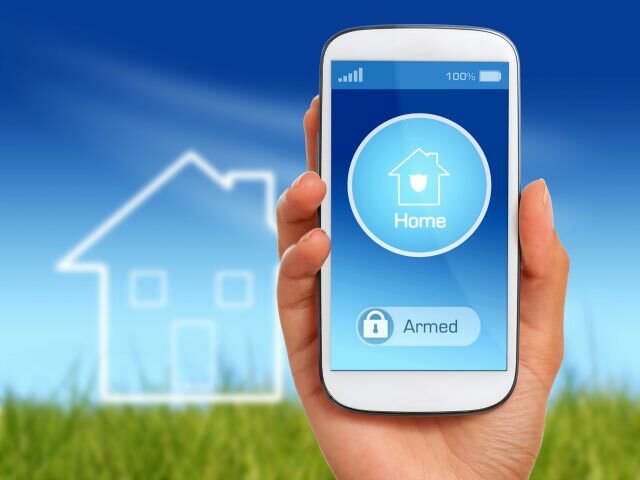 But Frontpoint edges out ADT with its effortless DIY installation and portability as well as its 30-Day 100% Risk-Free trial. Frontpoint also outshines ADT with technology features such as automated alerts and geo-tracking as well as remote light control. Frontpoint is head and shoulders above ADT because Frontpoint does not charge an extra installation fee for its monitoring services: smoke and heat, carbon monoxide, and water and flood. The Scout home security system is a new breed of home protection. It is a wireless remote-controlled system that you can access from any of your mobile devices. The Scout system is a great value as far as home security systems go; cost-effective because it is a DIY set-up that is so simple you can accomplish the installation in mere minutes. Another great feature of the Scout system is the buyer’s ability to configure the system to their personal needs whether living in a studio apartment or family-size home. Scout provides two monitoring plans that begin at $9.99 a month. They do not mention the high-end price point, so check on this by speaking with a customer service rep. Scout gives you the option to switch plans, or terminate your service without risking penalty fees you would be charged with by signing a contract. To support you in setting up the Scout system the website contains video tutorials for each separate component installation. Alternatively, you can also access the website’s knowledge base or community forum for more information and help. Scout uses payment processor Affirm and offers a choice of a 3-, 6-, or 12-month payment plan. SimpliSafe is another new kid on the block, offering a wireless home protection system. Like Scout SimpliSafe is a DIY installation process, which it claims can be installed in 15 minutes with its Build My System software. And also like Scout the buyer can add as many components as necessary to protect their property. SimpliSafe’s website offers no tutorials, but states all their components are pre-programmed to integrate with Build My System. SimpliSafe’s business model is to heavily promote its products and services with limited time offers, free shipping, (even return shipping if the buyer is not satisfied with the product), and a 60-Day Money Back Guarantee. The website reminds the consumer repeatedly there are no annual contracts and savings associated with each package. SimpliSafe does not individualize the costs associated with each component as does Scout, but bundles them into four packages. They range from security protection for small residential homes (apartments and condos) to larger homes, whose owners demand unequaled protection. Each package offers standard items such as a wireless system, cellular connection, fewer or more sensors, and optional 24/7 monitoring. Security protection companies make their money with monthly monitoring fees, and don’t let SimpliSafe fool you that you are getting its monitoring services dirt-cheap by breaking down its fees to per day, a common marketing ploy. They offer two monitoring plans: Standard at 0.50/day, or $15.00/mo., and Interactive at 0.83/day or $24.90/mo. Scout monitoring plans begin at $9.99/mo., but they leave out the maximum price point, quite common in business. SimpliSafe’s aggressive marketing is evident as one explores the website. There are testimonials, reviews, and endorsements by no less than The New York Times, Fox News, Fortune Magazine, NBC, and more. And SimpliSafe trumpets its 3-Year Product Warranty. You can tell it’s a major player in the home security protection business. But don’t let this dissuade you from considering the more modest offerings from Scout. After doing the math and looking at your budget Scout may be the best bet.